If you are still looking for some Thanksgiving decorations to throw together before your guests arrive (I can't be the only one still putting Halloween away) then print out this beautiful Thanksgiving subway art for your mantel. The best part about holiday printables like this is you can keep the frame out year round and just switch out the subway art inside. You can even store them all IN the frame. Just rotate which one appears at the front. 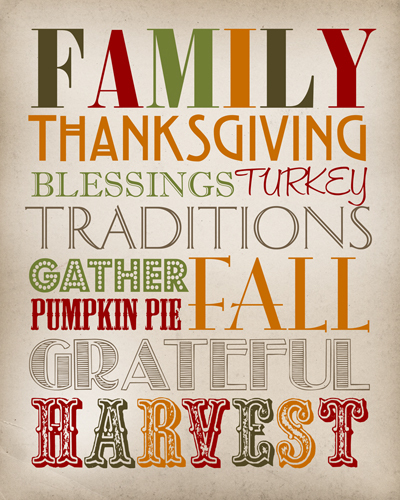 You can download this free Thanksgiving printable subway art over at How To Nest For Less.